Rapid urban expansion is a major contributor to environmental change in many parts of the world. 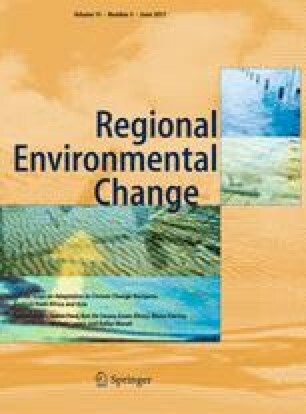 This study investigated land cover changes that occurred between 1988 and 2010 in the Calgary–Edmonton corridor in Alberta, a region that has undergone considerable recent urban expansion. We used satellite imagery to develop land cover maps for four different snapshots in time between 1988 and 2010 and used these maps to investigate two principal questions related to urban expansion: (1) How did urban expansion affect other land cover types? and (2) How did urban expansion affect the availability of high-quality agricultural land in the region? Our results show that 60 % of new urban and peri-urban growth between 1988 and 2010 occurred on agricultural land. Nevertheless, total agricultural land increased in the region because of the greater clearing of natural vegetation for agriculture away from the urban core. Urban expansion predominantly occurred on soils that were highly suitable for farming, while new agricultural expansion occurred on soils of poorer quality. As a result, the average soil quality of land used for agriculture has declined in the Calgary–Edmonton corridor, confirming other studies of the food security implications of urbanization. The online version of this article (doi: 10.1007/s10113-014-0658-0) contains supplementary material, which is available to authorized users. F. Martellozzo received the Government of Canada post-doctoral research fellowship for one year, which supported this project. Funding from an NSERC Discovery Grant to N. Ramankutty also supported part of this research. F.Martellozzo is currently affiliated as a Post-Doctoral Fellow at the University of Rome “La Sapienza”.